Treasury Secretary Jack Lew makes it official in a letter to Congressional leaders: They must move before end of February to raise nation's debt ceiling to ward off any risk of a U.S. default. Treasury Secretary Jack Lew officially notified lawmakers Wednesday that they must raise or again suspend the debt ceiling before the end of February. Otherwise, he said, the Treasury Department will run out of tricks to ensure that the United States can continue to pay all its bills in full and on time. The nation's borrowing limit is suspended until Feb. 7. After that, unless Congress has acted, Treasury will have to deploy special accounting maneuvers to avert the risk of a U.S. default. Lew said in a letter to congressional leaders that he does "not foresee any reasonable scenario" in which those so-called extraordinary measures would last past late February. "This is in large part because the government experiences large net cash outflows in the month of February, due to tax refunds," he wrote. 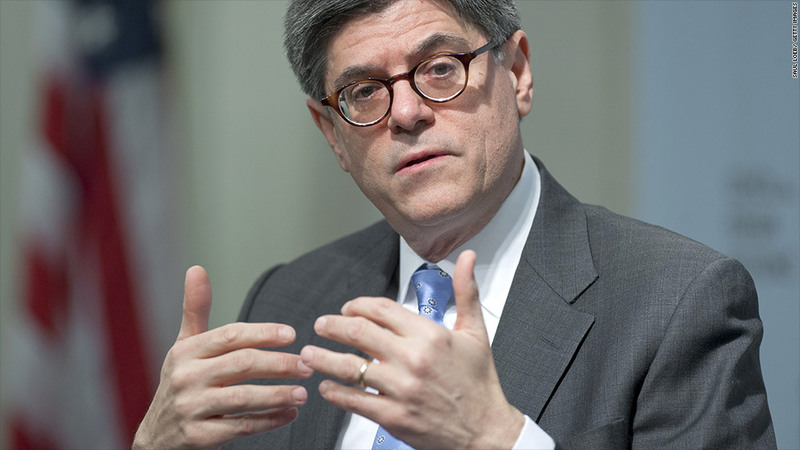 For example, last February Treasury paid out a total of $230 billion, versus an average of $45 billion in other months, Lew noted. That's the same message he delivered last week in a public interview at the Council on Foreign Relations. In that interview he also stressed that any last-minute drama over the debt ceiling could cut the U.S. economy's potential for growth and undermine confidence. "Why would anyone want to hurt the U.S. economy and hurt the recipients of payments they're entitled to?" Lew said. "Everyone knows these obligations are not made when you raise the borrowing authority. The obligations are made when you vote on appropriations bills and when you vote on tax bills." And, he added, it causes undue anxiety among investors and consumers when lawmakers push the issue to the last minute.